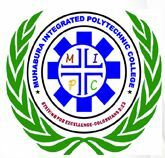 MUHABURA INTEGRATED POLYTECHNIC COLLEGE (MIPC) is a private Technical Institution located in MUSANZE District, Northern Province. It aims to serve the educational needs of our country Rwanda and worldwide through excellent technical and professional programs. The school also provides access to high quality education that promotes students learning, enables and develops their fullest potential, and supports national economic growth and sustainable development.